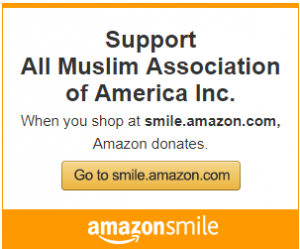 All Muslim Association of America (AMAA), Inc. is a 501(c)(3) non-profit organization established in 1989. Its mission is to establish and maintain a cemetery and a funeral home. Its vision is to provide low-cost burial and funeral services to the Muslims living in Washington DC, Virginia and Maryland. 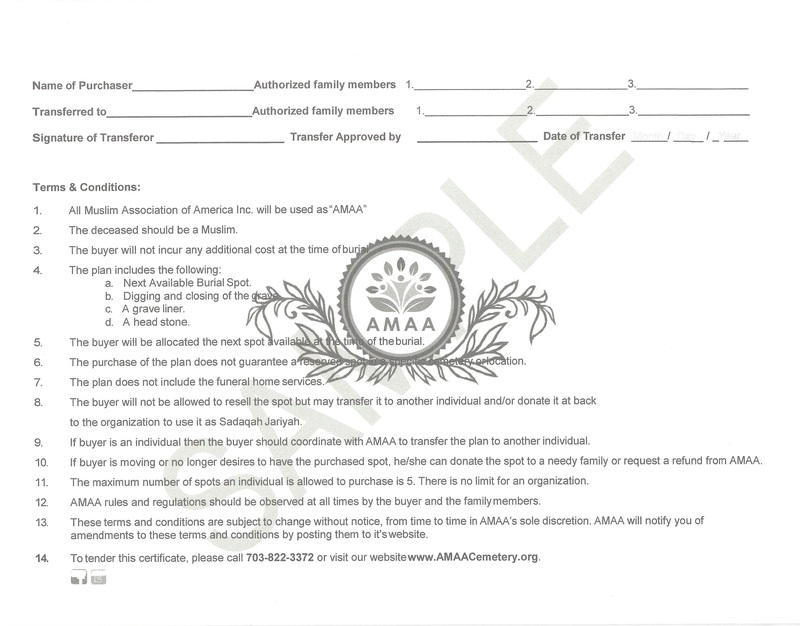 Currently, AMAA provides burial service including land. This does not include funeral home charges. 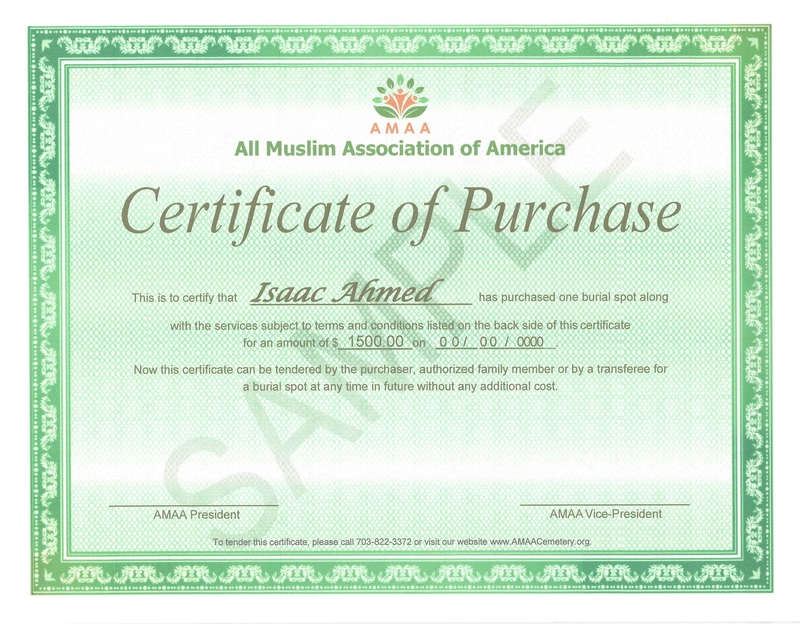 However, AMAA’s goal is to eventually establish and maintain a funeral home as well so that the overall cost of burying your loved ones can be affordable. Road Work: Brooke Road remains open to access AMAA Cemetery during construction phase of the road which is scheduled to be completed by end of July 2019. Same Day Burials: If you wish to have a loved one buried the same day of your request, then you must contact us before 9 AM. It is logistically difficult to do so after 9 AM. Winter Burials: If a winter burial cannot occur due to inclement weather, frozen ground or similar condition, the deceased person may be kept at funeral home until such burial can occur. *Take care of yourself. Avoid being a burden on others. Purchase today and be prepared in advance.